Outside: Sometimes I wonder whether the world is being run by smart people who are putting us on, or by imbeciles who really mean it. 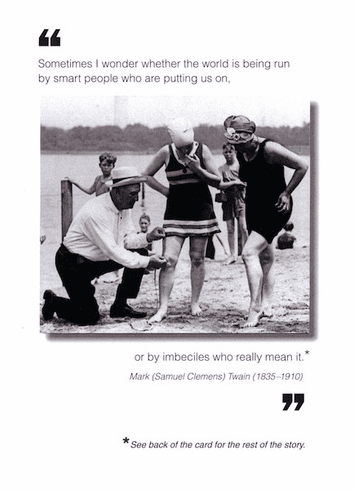 - Mark (Samuel Clemesn) Twain Inside: Blank. Borealis Press card measures 5 x 7 inches. Includes envelope.